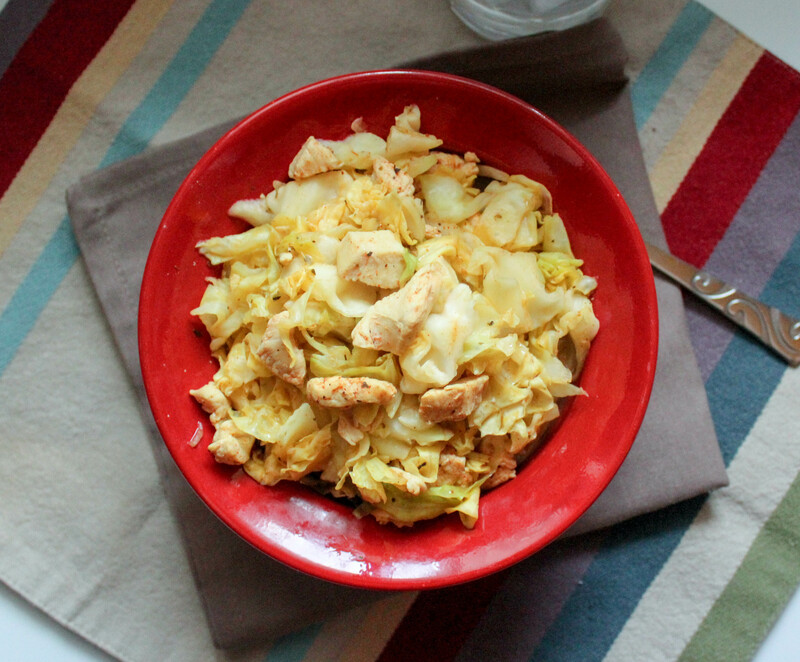 A one-pot dinner or quick lunch that is Fuel Pull (both low carb and low fat)! Ok, so you, my readers are in for a treat! This recipe comes from my husband! Truly! He made this for lunch last week and I think we’ve already had it 4-5 times! Really – its that good! Usually I am the recipe creator, but he provides me with inspiration on a regular basis. But this time, he was all on his own! This is so easy, and it takes less than 30 minutes to make. Besides the chicken and cabbage, all you need are some spices and seasonings. You could certainly add other ingredients if you want. As written, this recipe is a Fuel Pull (low in both carbs and fat). Feel free to add shredded carrots to make it an E, or top with some full fat sour cream to make it an S.
I like to sprinkle crushed red pepper on top of mine, but it has some heat to it already, so use caution! If you do not like heat, feel free to adjust the spices to suit your tastes. Another great addition is fresh cilantro. I just add some snipped cilantro to the top of my bowl, but you could add it when you are cooking it as well. It really adds a nice pop of flavor. Since I often get stuck in the rut of having “S” meals all the time, this is a welcome dish to add to my weekly menus! It is easy enough to make for lunch, and I love the fact that it is FP. 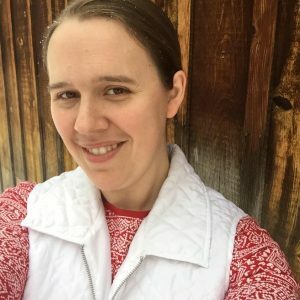 I’m sure most of us could stand to add a few more FP’s into our rotations! Most of those spices and seasonings you probably already have in your cupboard! In a large skillet, brown chicken. 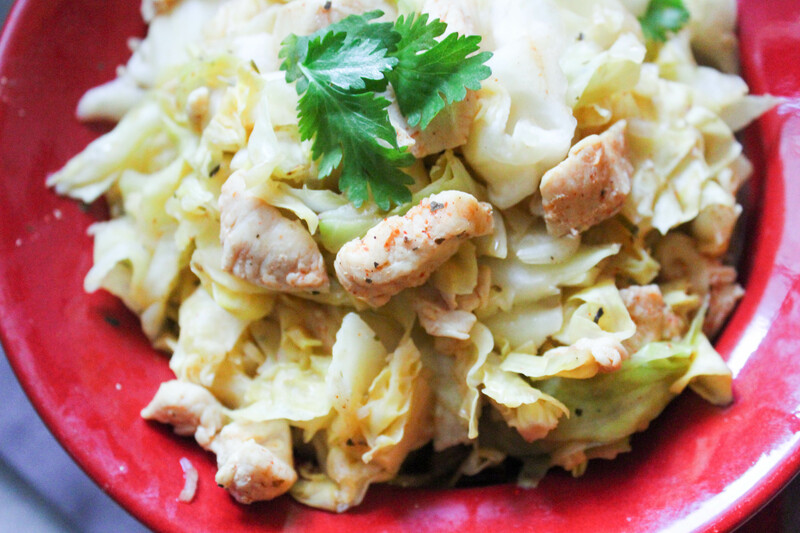 When chicken is cooked through, add chopped cabbage, all seasonings, and water. Stir, while allowing to cook for 5-10 minutes, or until cabbage is wilted to your desired tenderness. Did you know the Trim Healthy Mama Sisters have a new cookbook that will be released this Fall? You can pre-order your copy by clicking on the link below! This sounds fantastic. Can you tell me if there is a big difference is paprika and smoked paprika? I do not have smoked and haven’t seen it in local stores. The smoked paprika definitely has more flavor punch, but if you don’t have it you can use regular paprika instead. I bought mine at Costco. 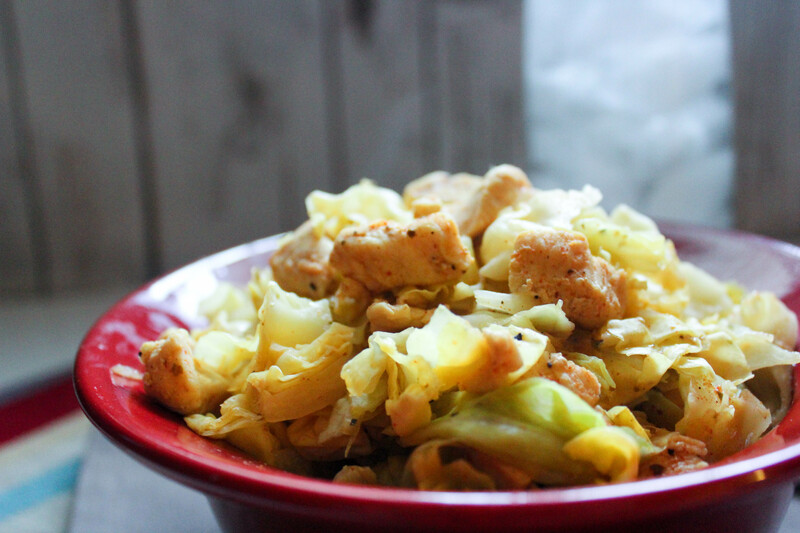 We tried this tonight to use up a head of cabbage I’d had in the frig…was a tad bit spicy, but a nice change up from the original Egg Roll in a bowl! Hubby and I both enjoyed it. Thanks so much! Awesome! So glad you enjoyed it! You can also vary the spices to suit your flavor preferences! Oh wow! Yummy! I love the idea of eggrolls in a bowl! I’ve never heard of that before. My nephew is going to love this recipe! I love it when the hubs does dinner for me!!! This looks like it turned out amazingly! Tried this tonight and my whole family really liked it. My one daughter asked if she could please have the leftovers in her lunch tomorrow! 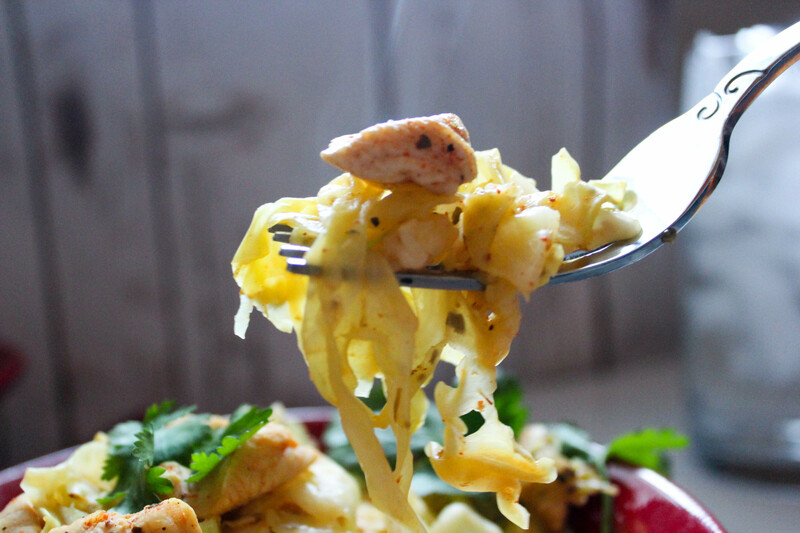 Thank you for sharing a new twist on the egg roll in a bowl concept! What do you think about using chicken broth instead of water? Fat free broth would still keep it as a FP…I love cabbage in the skillet with chicken broth, so I was wondering if you think that would add or take away from the recipe.